1. A segment inexplicably involving oversized Paper Mâché heads. 2. A guest slot from a local act. Of these, 4) is covered, as we are at Glastonbury and most people are in fancy dress anyway, especially if you include “covered in mud” as fancy dress. Number 1) was merely a formality, so we were left to speculate over 2) (PJ Harvey?) and 3) (who knows?). Four albums into their career, Arcade Fire now have the air of seasoned professionals. The timing of this headline slot is perfect, and unlike Saturday’s headliners there were no questions being asked as to whether they were the right band for the headline slot. The only question was whether they would deliver the goods. They responded to the challenge with a killer “best-of” set list and a masterclass in holding the attention of 100,000 people. Win Butler, with face paint reminiscent of Fish from Marillion circa 1984 is the focal point. They oen with “Reflecktor” as a flare is lit in the crowd and immediately Règine twirls her cape beguilingly like a bullfighter at a disco. “Flashbulb Eyes”, “Lights Out” and Joan if Arc follow. 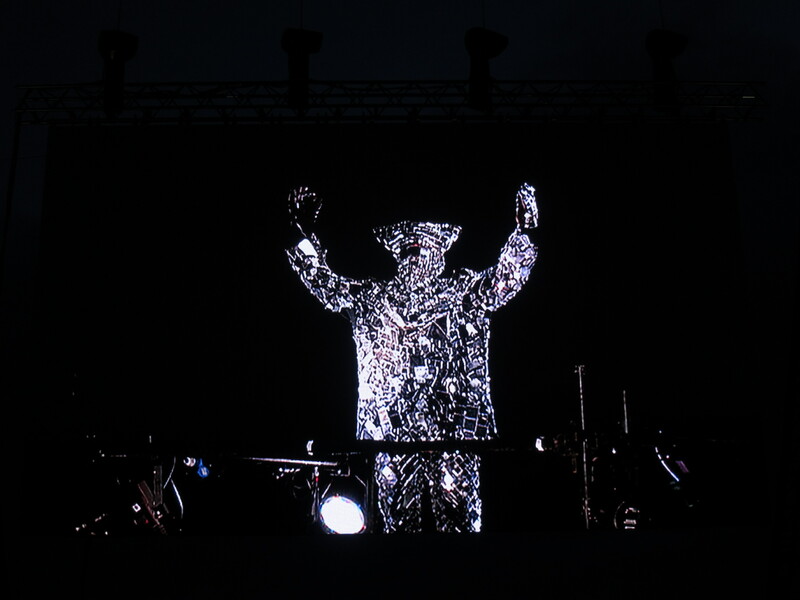 Règine wears another Reflektor mask and it dawns on me that Arcade Fire are the world’s biggest art-band. A glittering robot dances to “Afterglow”. 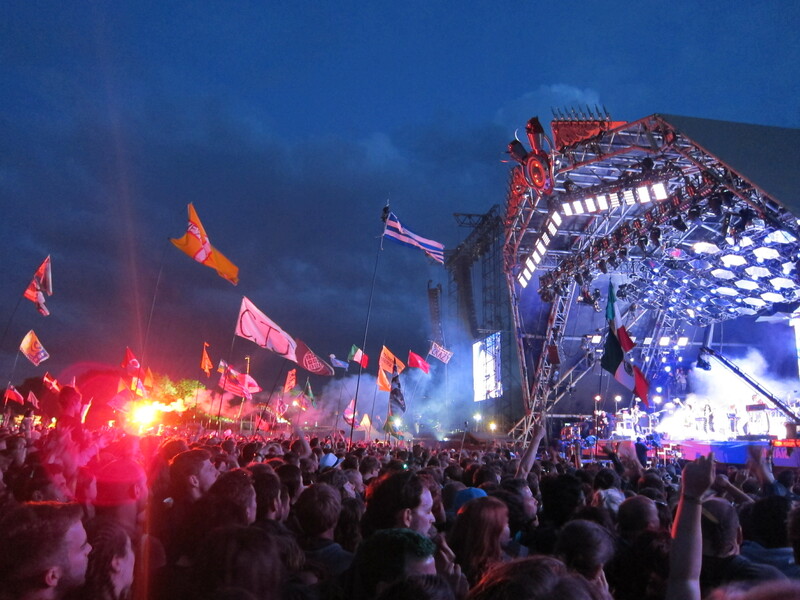 Arcade Fire assume complete control. Paper mâché heads do indeed appear, albeit no cover song or guest star. This is not a night to share the glory. 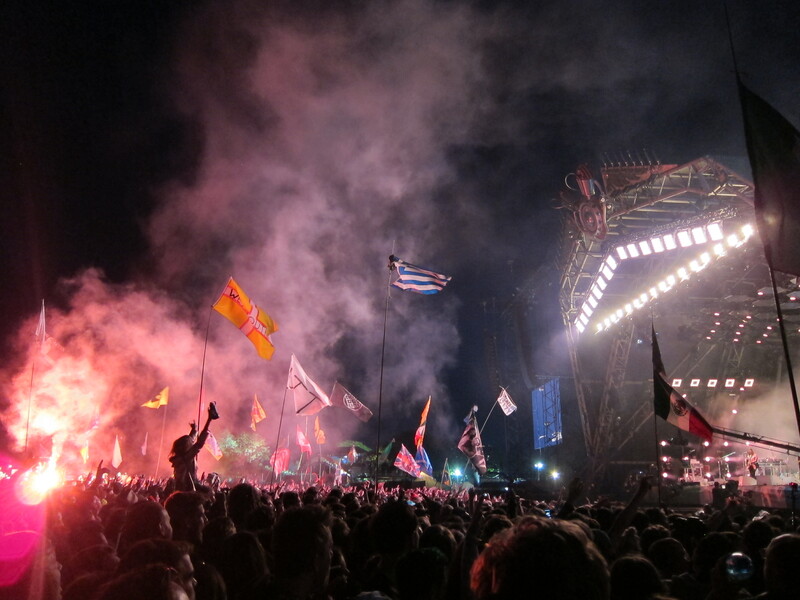 The Heads dance to a mash up of Glastonbury favourites: Pulp, Oasis, Jay-Z and Beyonce snippets get an airing. 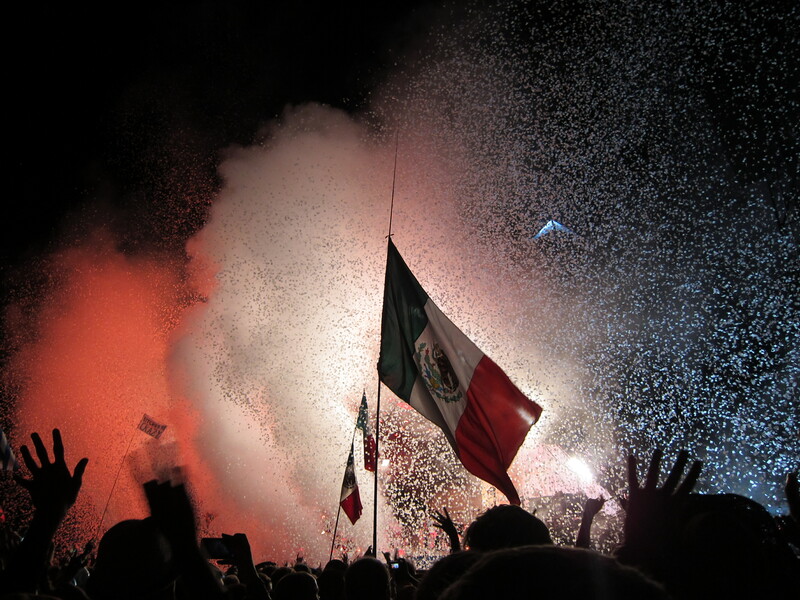 “Here Comes The Night Time” accompanies the mother of all confetti canons and the crowd bellow themselves hoarse on finale “Wake Up”. 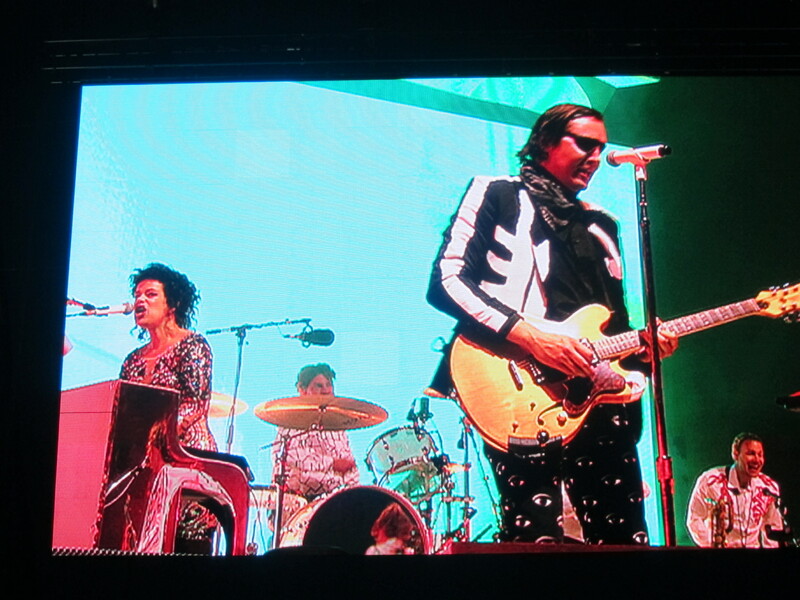 The Arcade Fire were impressive tonight. Metallica has a hard act to follow. Oh wow!!! I’m seeing them next month and this has certainly whet my appetite!!! Good news -I’m sure it’ll be great….